Now let’s look at the same reservation after it is cancelled 4 days in advance. 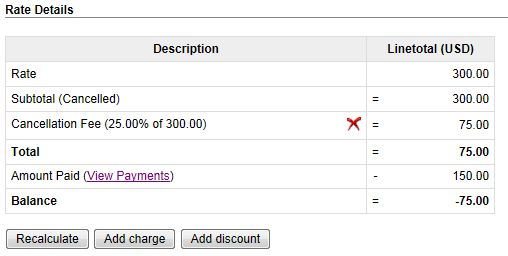 If needed, you can remove the cancellation fee by clicking the X (delete icon) on the cancellation fee line. The booking system does not automatically charge or refund balances when a reservation is cancelled. 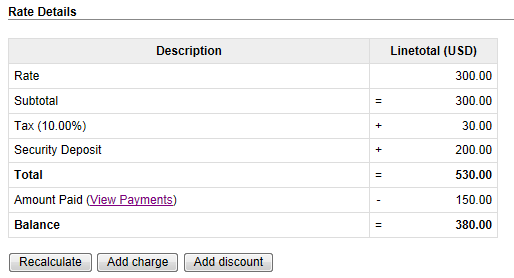 To settle the balance, scroll down to the Payment Information section and click Add Payment or Refund.